This is a blog post inspired by Craftie Rie and Meet me at Mikes, who have been participating in this 'Taking stock' blog entry. It has a been a busy, busy few weeks, and this week is looking to be slightly manic to say the least. As you will know, the grand opening of the shop is this Thursday. There has been much putting together of units, some wallpapering, some emergency plastering and much panicking. But the shop is finally coming together. There is still an awful lot to be done before Thursday's big opening, but as so many of you have been nagging me, I thought I would give you a few sneak peeks - a few glimpses of the giddy excitements over at Sconch HQ! 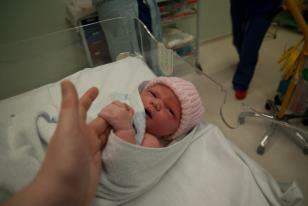 Little Sconchlet, born on 9th January, 2013 weighing in at 8lb 9oz.